Slippery Jim DiGriz is the Stainless Steel Rat: the galaxy"s greatest thief and con artist. For novel upon novel, the Rat has outfoxed the forces of conventionality, cutting a stylish swathe through dozens of star systems. Now three of the Rat"s greatest exploits are collected in a single volume. In A Stainless Steel Rat Is Born, we see the origin and early days of Jim DiGriz"s brilliant criminal career. 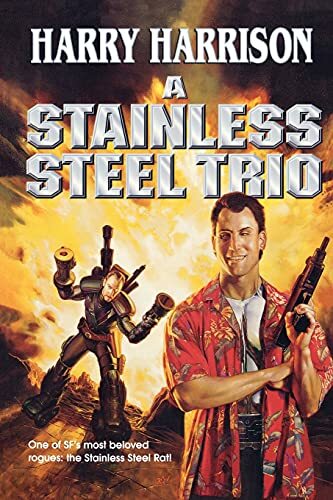 In The Stainless Steel Rat Gets Drafted, the Rat must avenge the murder of his mentor-in-crime. And in The Stainless Steel Rat Sings the Blues, Slippery Jim must retrieve a missing alien artifact, while disguised as a futuristic rock-and-roller . . . or forfeit his life.